Earlier in August, The History of Whoo has launched a new skincare range - Cheonyuldan Ultimate Regenerating Range. The main essence of Cheonyuldan is the Dendrobium orchid, which have the hydrating and lifting benefits and of course, Dendrobium orchid symbolises beauty. 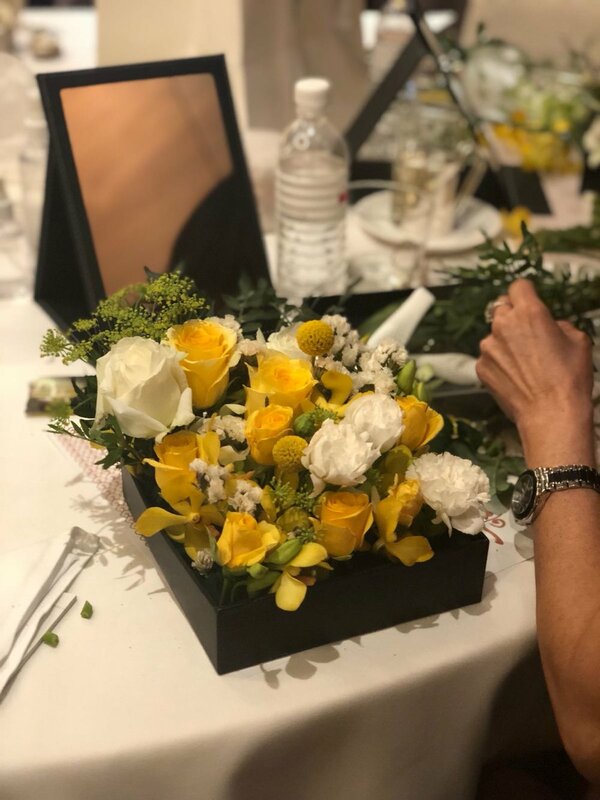 In line with the launch, we curated a yellow-and-white-themed flower box, which made up of Dendrobium orchids, craspedia, spray rose and anethum. As part of their launch campaign, The History of Whoo has conducted a skincare session with their customers. While getting their first hands-on experience of the new skincare range, they also get to do a mini flower box under our guidance.